In recent months, right-wing media outlets have been pushing the narrative of Obama as a dictator who simply signs an executive order whenever he can’t get Congress to do what he wants. 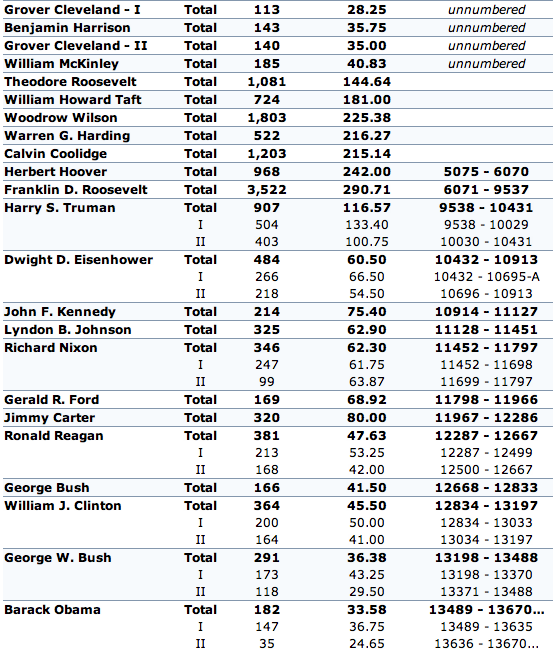 The first column of numbers shows total executive orders. As of now, Obama is at 182. Since 1900, only two presidents, Gerald Ford (169) and George Bush senior (166) have signed less total executive orders. However, both of them only served one term. The second column of numbers shows average executive orders signed per year. Obama is currently at 33.58 orders per year. That’s lower than both Bush Sr. (31.5) and Gerald Ford (68.92). Both were conservatives who advocated small-government. In fact, it’s lower than any president since Grover Cleveland was in the White House from 1885-1889. He averaged 28.25 executive orders per year during that time (he averaged 35 during his second term from 1893-1897). If you want to attack Obama’s executive orders, attack their content, not their numbers. You can check them out on whitehouse.gov here. NOTE: A number of websites seeking to take advantage of the executive order myth (like Western Journalism and Four Winds 10) have posted lists of Obama’s worst executive orders. The problem is, the orders they list are from 10990-11921. 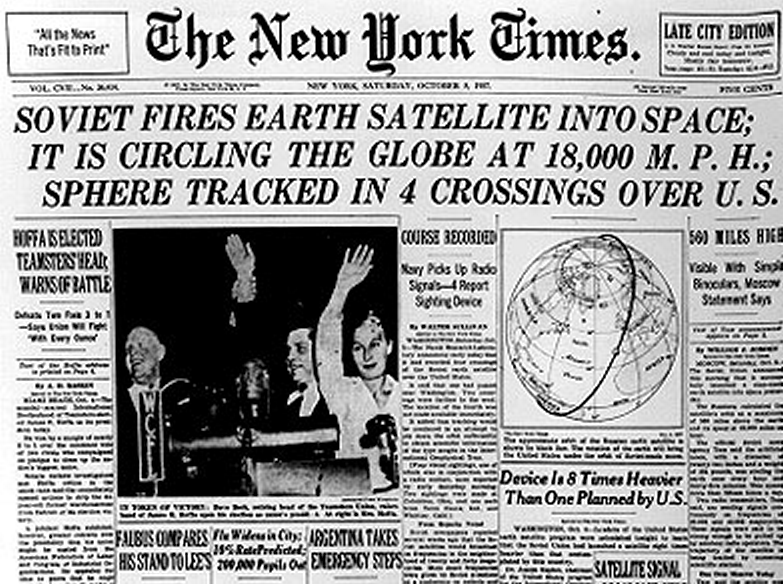 That means they were signed by John F. Kennedy during the Cold War. Obama’s first order was #13489. While some people claimed this order was essentially a sealing of his records (so nobody could check his birth certificate), it was pretty much the opposite. It rescinded executive order 13233 (signed by George W. Bush) which let former presidents and even their family members declare “executive privilege” to block public access to White House records for pretty much any reason. Yesterday evening, a U-2 spy plane, a Cold War-era aircraft that is still in use by the U.S. government today, entered air space monitored by the Los Angeles Air Route Traffic Control Center. Upon entering this airspace, the U-2 caused a glitch by overloading a computer system at the center. As a result of the glitch, the system re-routed hundreds of flights in an attempt to avoid the spy plane, despite the fact that it was flying at an altitude of 60,00 feet (about 20,000-30,000 feet higher than passenger aircrafts). The glitch caused delays and headaches for tens of thousands of travelers arriving to, departing from and/or passing through the Los Angeles International Airport. Sources told NBC News that the spy plane had a U.S. Defense Department flight plan, and confirmed that the aircraft was a “Dragon Lady”, a nickname for the U-2.